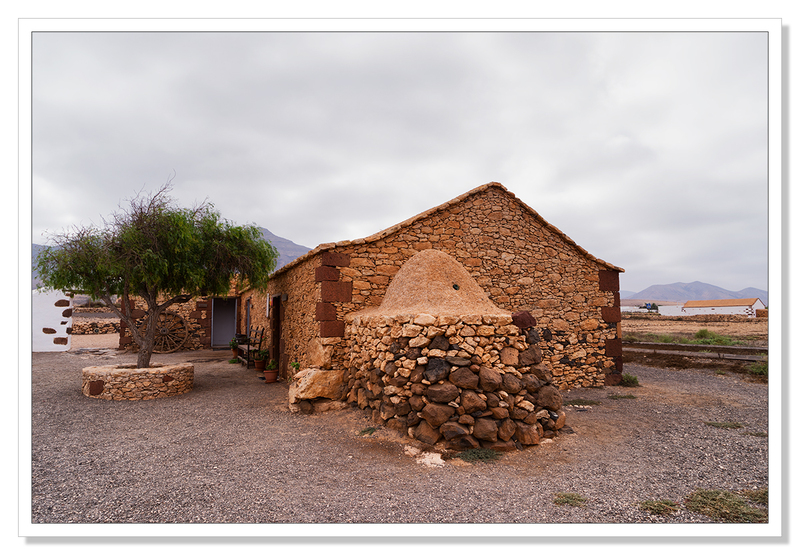 Having photographed a ruined, traditionally built Fuerteventuran village at La Florida, I was delighted to find the Ecomuseo La Alcogida. We’d passed through this place many times not realising just how extensive this museum was. A whole village, just like La Florida had been, renovated using the traditional building materials available to the builders just as the village of La Florida would have been constructed. 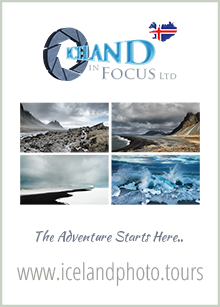 We had traversed the island many times and passed through this museum on numerous occasions. I’m so glad we decided to stop. 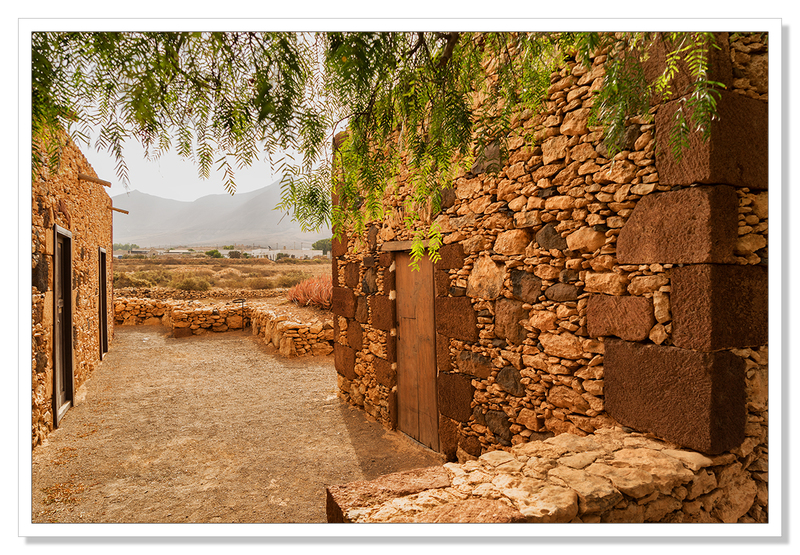 Limestone is plentiful on the island of Fuerteventura and was used to build the houses. 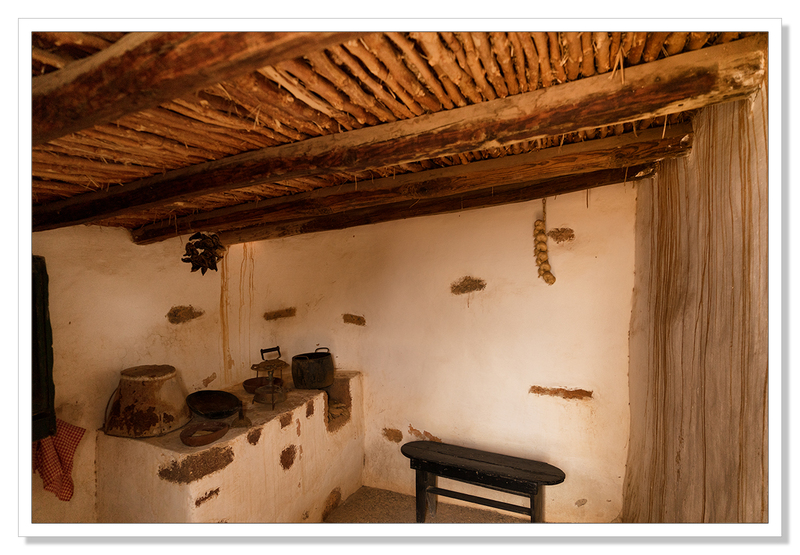 A lime and sand mortar was used to build and fill the gaps while lime plaster lined the walls inside the homes. 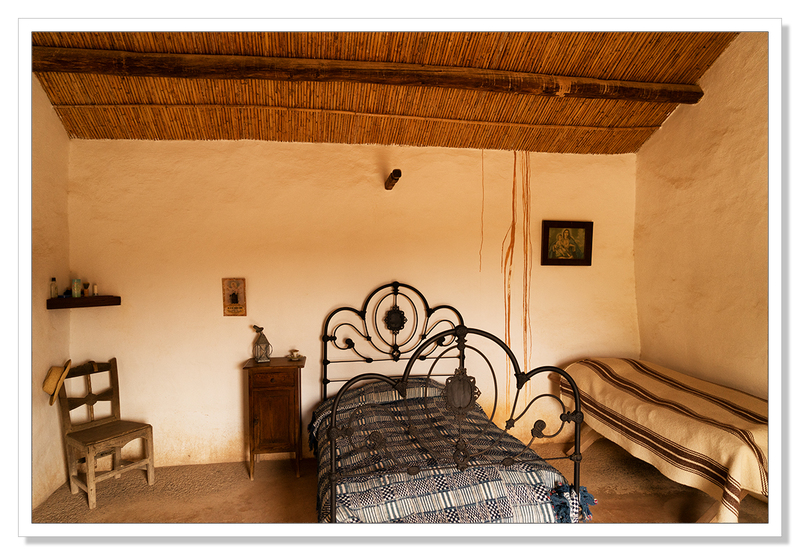 Bamboo laid across beams and the covered in mud and straw provided a nearly waterproof roof. 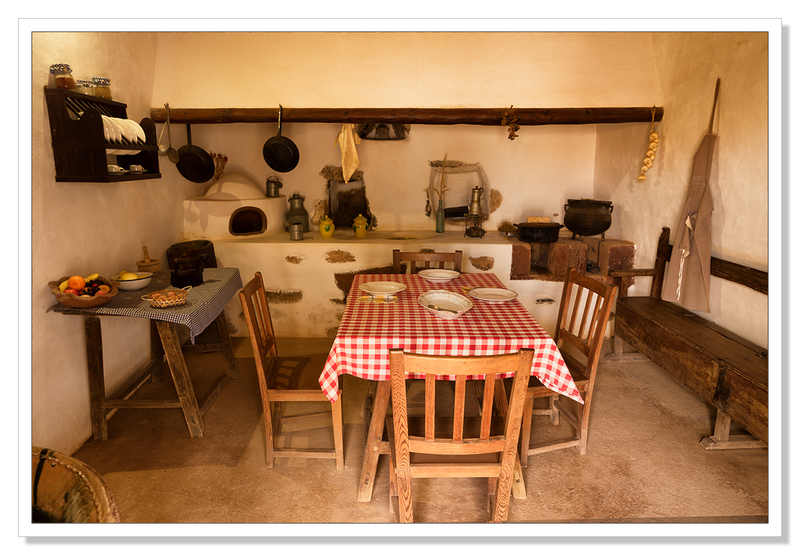 Most houses had an oven, built in the same way, attached to the house for baking bread. 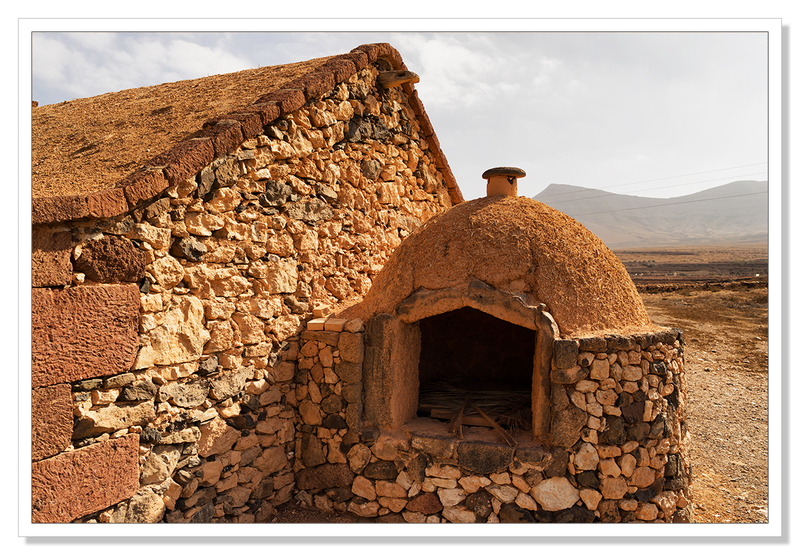 These ovens and this method of making the daily bread as well perhaps, as making casseroles, still exist, attached to many properties and are still used to this day. These are simple dwellings with dirt floors but with no need for heating given a very temperate climate all year round, I found the idea of moving into one of these simple houses very attractive. However, I didn’t come across any bathrooms. Certainly no showers in the older properties. I wonder how they managed these particular needs. A dip in the ocean perhaps..? I’m sure I could manage without electricity, not sure I could manage without a toilet and a shower. Anyway, here are some photographs of what La Florida would once have looked like. 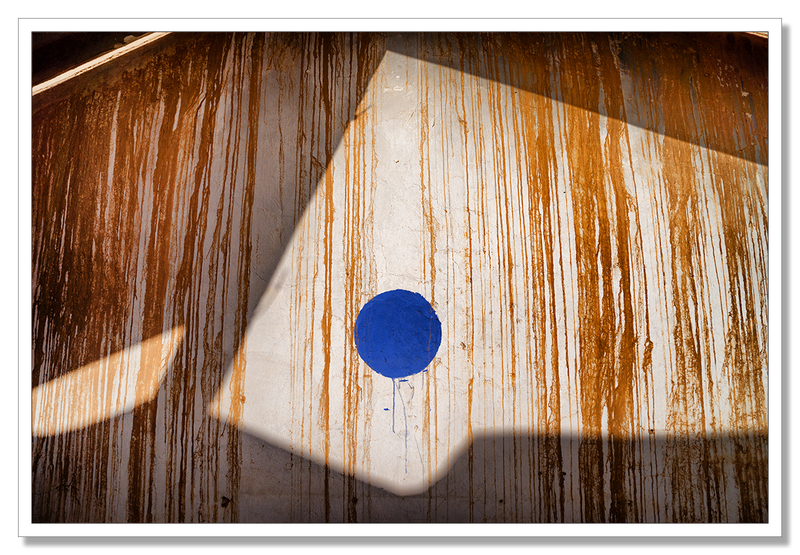 I Was interested to see the same stains down the walls in the refurbished homes as I’d seen in the ruins of La Florida. Clearly on the rare occasions when it rains, the rain finds a way in where the mud roofs meet the walls.